Mousa Abu Marzouk says ongoing Sinai terrorism "undermines our security". Hamas on Friday for the first time openly condemned the ongoing terrorism in the Sinai Peninsula. 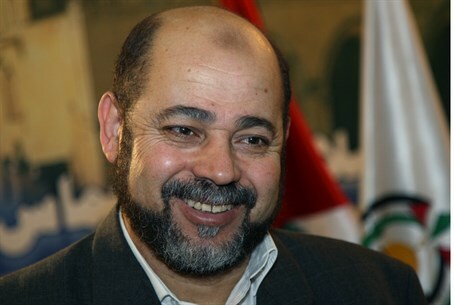 Hamas official Mousa Abu Marzouk said that he condemns the series of recent terror attacks which he said "undermine our security", according to Yedioth Ahronoth. He added that Hamas has deployed troops along the border with Egypt since the attacks, adding, according to Yedioth Ahronoth, "We will not allow anyone to cross the border." He vehemently denied the allegations that Hamas operates in the Sinai and said, "Hamas is putting all its efforts in the fight against Israel." Abu Marzouk’s condemnation came hours after Hamas dismissed as "propaganda" an Israeli claim that it provided support related to this week's jihadist attacks against Egyptian soldiers in Sinai. Israeli Major General Yoav Mordechai said in an interview in Arabic with Al-Jazeera television Thursday that Hamas had provided help to "groups supporting IS" for the attacks, claiming also that wounded jihadists had been smuggled into Gaza. "The occupation's (Israel) statements about Hamas helping IS are stupid accusations... and propaganda that aims to incite against Hamas," spokesman Sami Abu Zuhri told AFP. "Hamas has made efforts and taken stated measures to secure the border" between the Gaza Strip, which it controls, and Egypt's Sinai Peninsula, he said. "We are intent on (preserving) Egypt's security." Egypt has long accused Hamas of helping Sinai terrorists by providing weapons for attacks through of its smuggling tunnels under the border to Sinai.